Readings can assist in calming the mind while supporting the spirit and soul especially in times of change and transition when we can all use some objective, personal, professional as well as spiritual guidance. Someone once said that “Readings are healings which leave you feeling purer and calmer in their wake.” I have found a good reading always direct you to positive goals while allowing you to be the captain of your ship called Life. 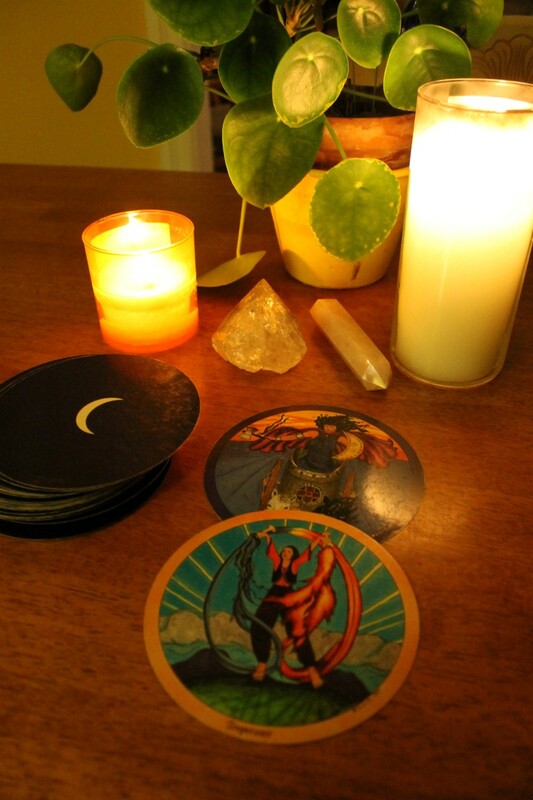 Depending on the energy and intuitive information I receive from a client for whom I am doing a reading, I am guided towards the perfect deck to support that individual’s question. It could be the Tarot, Fairy, Divine or a Power Deck. On numerous occasions I have been “directed” to work with 2 very different decks and it turns out to be exactly what is needed for the individual’s highest good. At the end, I share any intuitive insights I gain from the reading and the person’s energy. I also share any power or totem animal(s) that came through during the reading, and I always look forward to answering my client’s questions at the end. You may ask ‘how can you read for someone who is not present physically, especially when it comes to choosing cards?’ We are connected via the telephone and I also connect energetically and intuitively to the person who I am reading for. When the cards fall, it is their energy that I am working with, receiving only that information and guidance that will assist them. If you are considering booking a reading and would like further clarification, do feel free to contact me with any questions you may have. You may prepay your session by choosing one of the Paypal options below and if you are still in doubt ………….Trust that still, small voice that says, “this might work and I’ll try it.” Diane Mariechild. Payment via e-transfer to dsharon3000@yahoo.ca.